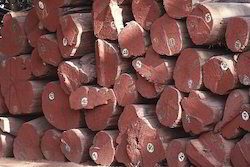 We offer Timber Wood of a wide variety such as Silver Oak Wood, Red Cedar Wood, White Cedar Wood, Gumsal Wood, Mathi Wood, Honne Wood, Padauk Wood, Rose Wood, Pine Wood, Whiteoak Wood, Teak Wood, Burma Teak wood and Wooden Logs. Over and above this, we are also engaged in offering our loyal clients with home furniture and office furniture of varied kinds. Our entire range is reputed for quality of highest standard. Looking for Wooden Log ?